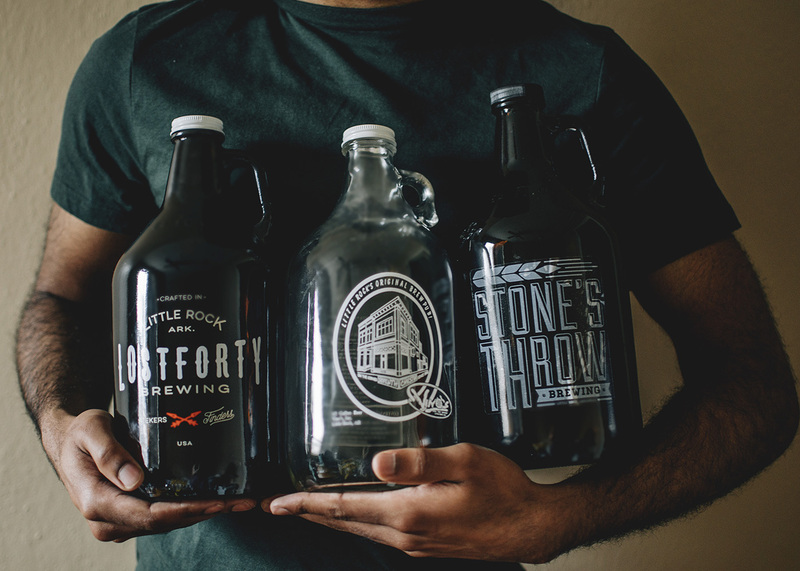 You’ve read about our favorites…now it’s time to take a look at what some of the Little Rock top chefs enjoyed serving up in 2014. 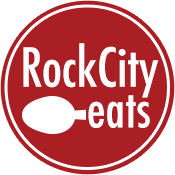 Special thanks to Scott McGehee of Yellow Rocket Concepts for sharing his Chef’s Best. Grand Lamb Couscous: “I love shopping and cooking in France and Italy. 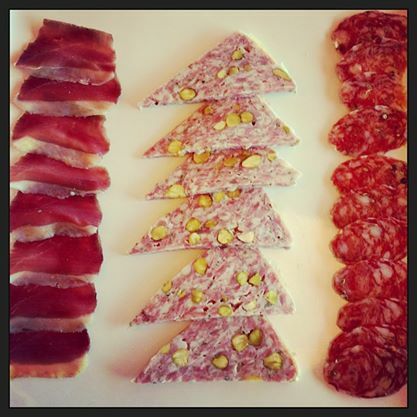 The quality of meats and produce is beyond amazing.” Served to his family in Provence, France in the summer of 2014. 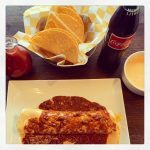 Taco Kid Smothered Sancho, Cheese Dip, and Hot Sauce: “When Russ and I came up with the idea to reinvent the nostalgia of the 70s/80’s icon, Taco Kid, I didn’t believe that we would end up with such an exact representation. The final product absolutely takes me back to 1982 with my dad at Taco Kid!” Served at Local Lime as a recurring Tuesday night special. 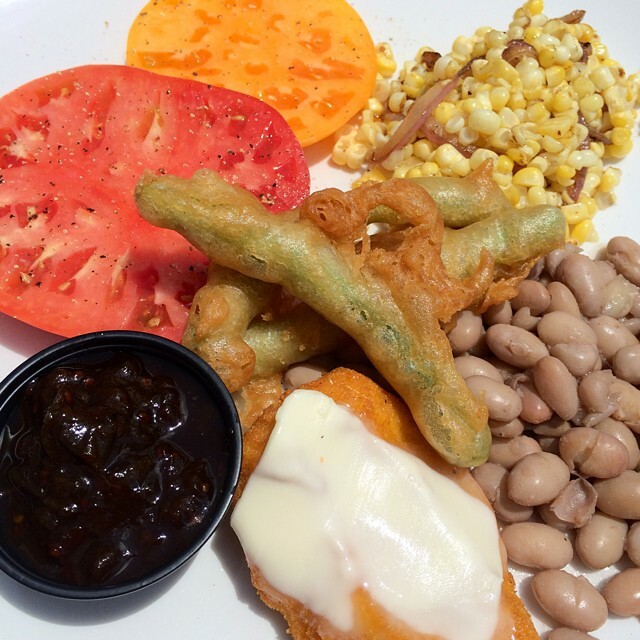 Summer Plate: “My Great-Grandmother started the Red Apple Inn (Heber Springs, AR) in the early 1960’s. Fresh summer just-picked vegetables, thick-sliced tomatoes, green tomato pickle, and pone bread were all staples on her table. 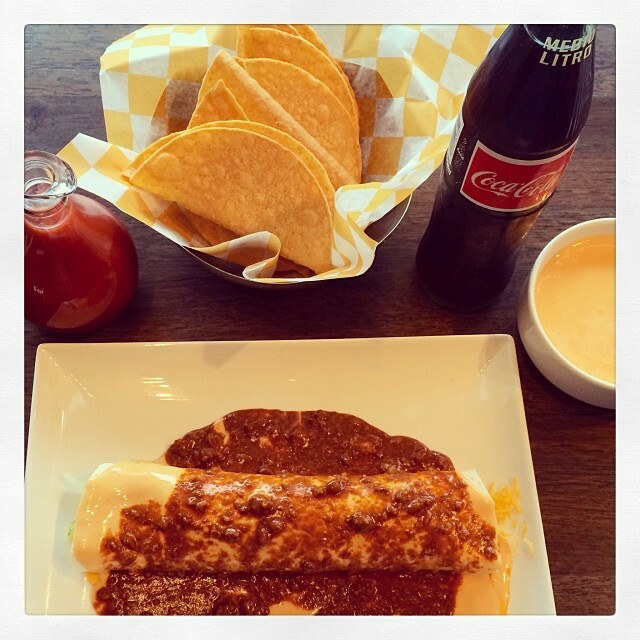 It’s a very nostalgic meal for me that I never tire of.” Served over the summer at Big Orange. Charcuterie: “I got back into one of my true passions his year. 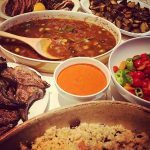 I trained under Butcher Bob and at Chez Panisse in my training days in San Francisco, and focused on house-made charcuterie at Boulevard Bread in the early 2000’s. So super fun to get back into the groove. 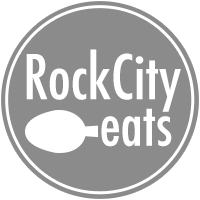 I’ve made Boudin Blanc, Bratwurst, Kielbasa, Cured Finocchiona Salame, Moroccan Lamb Sausages, Duck Prosciutto, Pancetta, etc.” Served throughout the year at Big Orange and some items currently on the menu at Lost Forty. 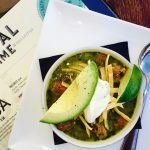 Green Chile Stew: “I am absolutely fanatical about fresh roasted green chilies, and this dish is chock full of them!” Served as a fall and winter special at Local Lime.